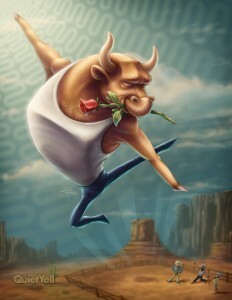 http://www.Instagram.com/ILoveFantasyArt just featured my Dancing Bull illustration on their IG account (which has 268,000+ followers). It caught me by surprise because I didn’t send them anything or tag them. It was just out of the blue. What a pleasant surprise! Thank you, ILoveFantasyArt! Go like it and share it if you can! First, the forum is a great place to start! But regarding the courses, I think it depends upon where one’s needs are. I might suggest Jake Parker’s class: How to Draw Everything Fundamentals Series as a good starting point. Still, there are many other good courses. I’ll put up thoughts on some of my favorites in the future. 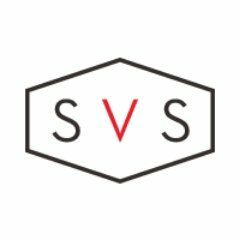 Regarding SVSLearn.com courses, I didn’t see any way to keep track of which videos I’ve watched, mark as wanting to re-watch or make a note on, know how many hours I’d commit to for the set of videos, etc., so I had created a spreadsheet that I’ve been using for such. Thought I’d share it with everyone. Note: I will probably leave this up in Dropbox for quite some time, but eventually it will get pulled. Do you add texture to your drawings? Painterly vs. Textured is really a personal stylistic choice. I tend towards highly rendered & textured work (or totally graphical too actually). 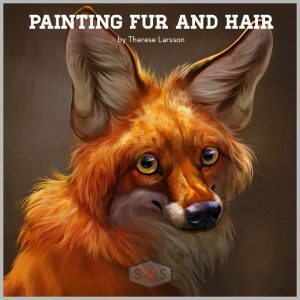 SVSLearn.com has a great video on “Painting Fur & Hair with Therese Larsson” that may be helpful for you in making a decision. Where are you from and what projects are you busy with? Going back to roots of illustration with the intent to re-enter the children’s media market (PB/MG/YA book/periodical, packaging, toy/stationary/other-product, game, etc.) with an illustration focus for myself. Working on developing industry relevant illustration portfolios while attempting to improve a variety of aspects in my work (drawing, painting/rendering, concept/narrative/story-telling, speed, etc. ), as well as learning & “networking” as much as possible. How long does it take you to finish a piece? Do you plan your drawings before hand? I use Toggl.com to track my time (though there are other options). DAY (1-10 hours) : Simple work, like a character headshot (note: I don’t do portraits, but I would assume that those take much longer) Though, I’ve seen just absolutely amazing work by Artgerm (Stanley Lau) and Aaron Blaise that only took them a couple hours or so (I cry just thinking about it! ), and concept artists tend to have to work very, very fast too. Lee White references this and other timing in the first part of his “How to Make Money in Illustration” series: Part 1, Part 2, Part 3. HALF-WEEK (15-20 hours) : Just slightly more complex than above. 2-WEEKS-Beyond (60-80+) : These could have just 1 character with an elaborate background or 3+ characters with a basic-to-heavy background. The more complex each character & the background, the more time it will take. These numbers are a little deceptive though. They can be just in-development drawing & rendering time; not included in the timing would be research, brainstorming, studies, etc. As Simona discussed, the front work is really quite important. If you don’t have deadlines, have flexible ones or simply a lot of time allocated to a piece, then you can allow yourself to take as long as you feel you need “right now”. Get a feel for how long it takes to do each portion (research, studies/prep, “final” drawing, rendering, and don’t forget about all the admin stuff: phone/emails/meetings, quoting & invoicing, formatting files, file-folder maintenance, etc.). This will allow you to reverse-engineer the time you have for each portion for when you do have a deadline, because if it takes you a long time to render, you may have to cut down on the amount of studies you really want to do even though it may not be ideal. Also, per my little note just below the tier-breakdown: How long it takes to paint a piece is quite dependent upon the style you pursue. I’m sure a Dutch/Flemish layered oil painting technique takes insane amounts of time while a highly painterly digital art piece can be pretty quick or a whimsical line-art with simple watercolor wash can be even quicker. Plus, how long it takes can change as you grow more experienced and/or learn new time-saving techniques. Thank you for this topic! I’m always evaluating my time too! Do you draw on both sides of your sketchbook paper? Do you draw on both sides of the paper? If you are using pencil or some similar dry media and do on both sides, there is a potential for images to rub against one another when the book is closed, thus causing smudging & such. Also, it might make scans and/or photos of the page show a hint of the sketch on the underside (if done dark enough and the paper isn’t thick enough). I am writing this at the end of 2016 and backdating this: I hadn’t realized just how long it’s been since I posted to this blog! Much has happened since the March 31, 2014 post, but it was never posted. So, I’ll be adding some posts backdated to their approximate occurrence, such as artwork created, significant events, etc. Hopefully, I will be able to start consistently posting starting in 2017! QuietYell Products: ¡Hola, Lipsy Lola! 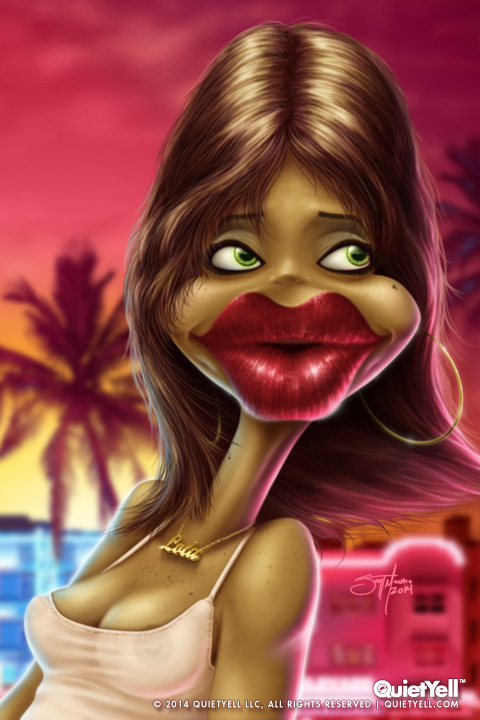 Stroll down South Beach and you might holla “¡Hola, Lipsy Lola!” when you see those luscious Latin lips and all the other lusciousness that follows! Your QuietYell™ might not stay so quiet for very long! Select QuietYell™ Products of This Design Coming Soon!! !